how you can create it with your own twist so that you’re not creating content from the perspective of anyone else! Isn’t that amazing? You'll also understand how you can connect your videos to your products and services! Also, plan out your content out for the next 3 months! So What's Inside of This Powerful Video Strategy Workshop? RECAP, RESOURCES & What's Next? You're getting insider access to the tools that I personally use in my business to create additional income and attract specifically targeted customers through my video content! Last week I signed on two new clients, from YOUTUBE!! Just because they saw a video that has less than 5000 views! You're probably asking how and why? Well! I create video content with specific intention! I know exactly who I am creating for, what I can share to help them, and how working with me can possibly take them even further!! This quick and to the point, guided workshop walks you through exactly how you can complete your new workbook with your own specific audience in mind. 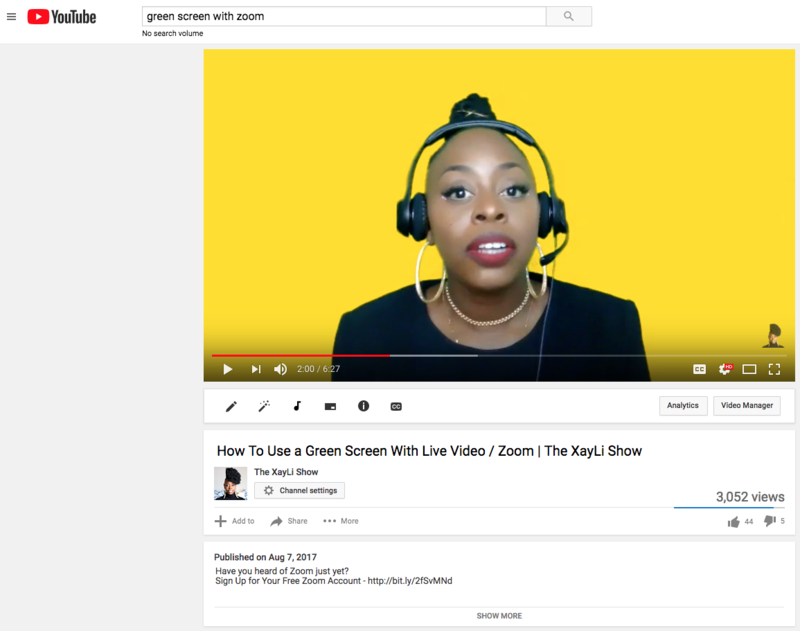 With the video, you’ll understand my exact strategy for nurturing and growing my own audience through the use of quality video content. You'll also get my exact formula for creating for your own specific audience of people! WE all have a built-in audience! We just need to really understand how we can communicate with those people! Are you ready to truly connect with your audience and create videos that convert them into lovers of everything that you do? It’s honestly like having a personal one on one coaching session with me. I even show you my own exact plans for the upcoming quarter! I’ve also included a souped-up workbook with all of my own strategies in plain sight. No one else is really doing that!! What They're Saying About My Courses! I have followed Xayli for some time and seen her work. She is honest and really pours into her students. Before I had a bunch of ideas and most were complex but I missed the foundations and simple things. From her weekly webinars to online courses, the information was great but when she launched this productivity and persistence program I was hooked. She and the group because of my weekly "Lab" work like in college. Each week, I begin to get out of my shell and really understand my audience, my brand, and my vision. People pay hundreds for trainers and fancy classes, so why not a trainer for my brand. For the cost a gym membership, I had my own virtual gym for my business. I have amazing tools, kits, videos and much more that I saw within a month a big difference. From cleaner images, better videos I saw my followers, YT subs, and engagement double. Not just that but I had Xayli each week for a fraction of the cost of a one-on-one answering some of my questions. This is EVERYTHING. The group is amazing and everyone helps each other. No drama just creators trying to create in their own niche. Great Program and will continue to go another month.